A hammer toe is a contracture (bending) of the toe at its first joint, the proximal interphalangeal joint. There are two types; flexible and rigid. Flexible hammer toes are less serious because they are still moveable at the joint. Rigid hammer toes, seen in patients who have arthritis or wait too long to seek professional treatment, are identified by an immobile toe joint. Hammer toes can be recognized by their likeliness to an upside-down V when viewed from the side. They are usually seen in the second through fifth toes, but any toe can be affected. Females are more likely than males to develop hammer toes. Many celebrity women, such as Katie Holmes, are known to develop them because of the shoes they wear. Hammer toes are caused by tight shoes that squeeze the toes or an abnormal balance of the muscles in the toes. Some symptoms commonly associated with hammer toes are: pain at the top of the toe from pressure in the shoe, the formation of corns on top of the joint, redness and swelling of the joint where it bends, restricted motion of the toes, and pain in the ball of the foot at the base of the toe that is believed to be affected. To prevent hammer toes, the best thing you can do is wear properly fitting shoes—NEVER wear shoes that are too small/narrow! Wearing custom orthotics made by your podiatrist will improve the mechanics of your foot and help with conditions such as flat feet. This can help balance the muscles in the toes and stop hammer toes from forming. If you have hammer toes, you shouldn’t hesitate to visit a podiatrist. Leaving them untreated can cause less serious flexible hammer toes becoming rigid. If this happens, non-surgical treatments may not work and you will most likely need surgery. 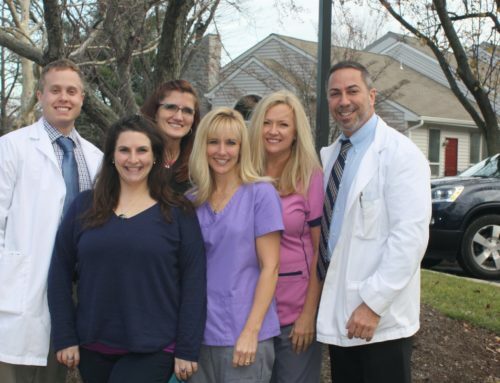 Call Quality Foot Care, conveniently located in Doylestown, at 215-230-9707 and make your appointment today.